Melissa and Josh have arrived for Todd's leaving party. He is still sulking at having to leave Erinsborough, so Jim and Beverly make themselves scarce. In the living room, Beverly feels guilty, but Jim clearly thinks Beverly has brought everything on herself. Beverly says she's glad that things have remained civilised between them. BEVERLY: Jim, I hope, when this is all behind us, that we can still be friends? JIM: Why would we want to do that? Better to just let it go completely. Madge is reading through her council papers. Gemma is "going down to the library with Ryan". Madge is suspicious and asks Gemma to get a book for her while she's there. She suggests that Gemma could ask Ryan to dinner tonight - Eddie's away so there'll be plenty of food. Melanie comes round and immediately helps herself to a drink(!) She tells Chrissie that there's been a fax from Paul in Argentina - it says that Paul is coming home tonight. Christina is horrified that Paul will be home in two hours. They are none the wiser whether Paul got Melanie's letter about Christina's feelings though. Apparently his business meeting fell through - that's why he's home early. Todd is still sulking about going back to Adelaide. Josh and Melissa try to calm him down. Todd is upset that Cody hasn't arrived yet. They start talking about how Beverly only thinks of herself. Beverly overhears and looks upset. Jim takes pity on her and tells her not to take their words to heart. Just then, Cody arrives and Todd is pleased. Gemma waits in vain for Matt, since unbeknown to her Ryan didn't give him her note. She starts to cry. Christina is waiting anxiously for Paul to arrive back. They hear a taxi draw up outside and it's Paul. They agree to wheedle out of Paul whether or not he got Melanie's letter. When Paul comes in they try to look casual. Paul is in a very good mood as he greets them. PAUL: Is Argentina beautiful? Argentina is fascinating! MELANIE: I'm surprised you came back to us at all, then! PAUL: Don't worry, I brought some of Argentina back with me, too! What have we here? He starts giving out presents of earrings, little skirts and maracas. It seems that he didn't get Christina's letter. Ryan is listening to music on his headphones when Gemma coumes round. She pours out the story of Matt not turning up and Ryan lies through his teeth that he gave Matt the note! Gemma is getting paranoid now - she wonders if he's on a date with the girl he had lunch with. Gemma presses Ryan for details about Matt, but he is evasive. Todd and Cody are clearing up after the party. Cody is upset that Todd has to go away. 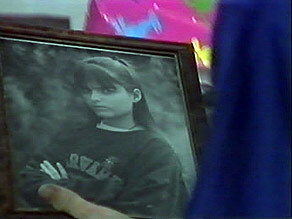 She gives him a present - it's a framed photo of Cody scowling. CODY: To show you how I'm feeling without you here. Todd gives Cody a present too - it's an opal eternity ring. They plan to play "their song" at the same time each day and think about each other. TODD: I love you, too. Paul is still raving about Argentina while Melanie and Christina probe him for details about whether he got all his correspondence. Paul says he did, but it looks like Christina's letter didn't get there. Christina looks very relieved and gets up to make them some dinner. Paul isn't hungry though and heads off to bed. Christina tells Melanie urgently that the letter will be returned to the office. Melanie promises to intercept it and tear it up. Gemma is angry and marches over to No.32 to confront Matt. Gemma bangs loundly on the door and Matt answer it. She immediately starts ranting at him, much to Matt's surprise. Then she hits him with a newspaper and stalks off. Matt chases after Gemma, dragging his clothes on. Gemma is sitting at the counter eating breakfast while Madge makes toast. There's a knock at the door and Madge answers it to Matt. She tries to send him away, but he shouts to Gemma that he has no idea what's going on. Madge is as confused as Matt and bustles Matt out of the house. MADGE: Alright, young lady. I think you've got some explaining to do! Paul has come to say goodbye to Beverly and tell her and Jim about his Argentina trip. Paul awkwardly apologises to Beverly for not seeing eye-to-eye with her in recent times, and wishes her luck in Perth. Then he heads off to the office. 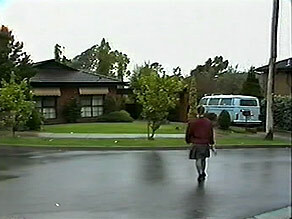 When Paul has gone, Beverly asks Jim to tell Helen that she'll ring her from Perth. JIM: That was a cheap shot last night. About us not being friends - I'm sorry. Of course I want to be friends. BEVERLY: Well, it was understandable. Things that had so much promise just didn't seem to come together. They head off to the airport. Beverly is very tearful to be leaving. Christina and Melanie are chatting about Paul. Melanie says that it's strange Paul is in such a good mood when the business part of his trip went so badly. She asks Christina what she's going to do - she thinks it's the perfect time for her to tell Paul how she feels. Jim is loading up Todd's luggage while he says goodbye to Cody, Josh and Melissa. JIM: You won't be getting rid of Todd completely. I'll be sending him the fare to come and visit us on the summer holidays. TODD: Thanks, Uncle Jim. Not just for that - for everything. Dorothy comes over to say goodbye to Todd. She wishes him all the best in Adelaide and says goodbye to Beverly too. Finally, Todd, Beverly and Jim get in the car while Cody sobs. CODY: Same time every day! TODD: Don't worry about it. 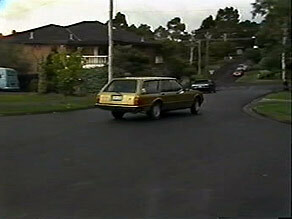 The car reverses out of the drive and Cody sobs as it heads off down Ramsay Street.